Kemp, Georgia's secretary of state, was not on the call. "We are leaving all of our options on the table," including litigation, Abrams' campaign manager Lauren Groh-Wargo said. Groh-Wargo estimated Wednesday that about 15,000 votes separate Kemp from a runoff. She says at least that many outstanding absentee and mail-in ballots remained to be counted. 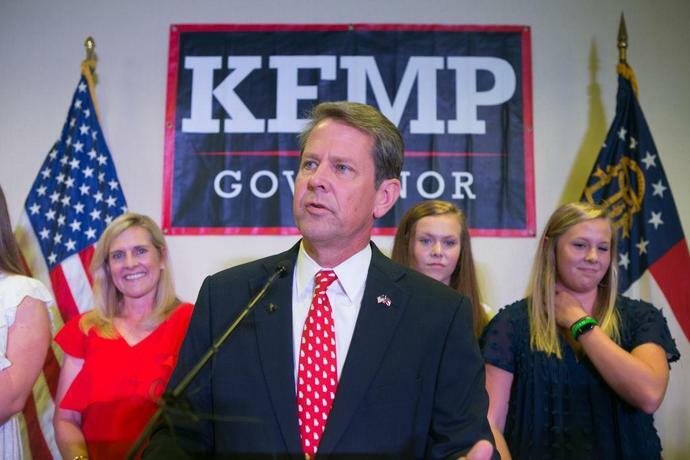 Kemp, 54, told his supporters early Wednesday that "there are votes left to count, but we have a very strong lead. … The math is on our side to win this election."